Will Bijepur set the tone for next Odisha assembly election in 2019? Bijepur is a battle of Prestige for Naveen, Do or Die for Pradhan and a survival for grand old party Congress. The BJP leadership must be inspired by PM Modi’s advice to be confident enough before taking the exam during ‘Pariksha Pe Charcha’. The BJD leadership must be energized after their supremo’s confidence of winning the election by a huge margin. Congress though seems to be little behind in this high voltage campaign but one can’t underestimate a united and resurgent Congress. All the three parties are facing a tough examination on 24th Feb.
It’s a battle of prestige for CM Shri Naveen Patnaik as he wants to continue his winning streak. Mr. Patnaik wants to prove his popularity once again by wresting this seat from Congress. He wanted to show to his opponents that his strategy is yet to be unearthed by his opponents. It’s widely perceived that Mr. Pradhan calls the shot in Odisha BJP. His ambition to be projected as the CM candidate of BJP in next election would boost further depending on the performance of the bypoll. The leadership of Shri Dharmendra Pradhan will be under scrutiny if BJP won’t perform well. It’s a battle of survival as well as a ray of hope for the revival of Congress in Odisha if they can pull a surprise win here. Remember Subal was Congress lawmaker from here and Congress has its own pocket votes here. 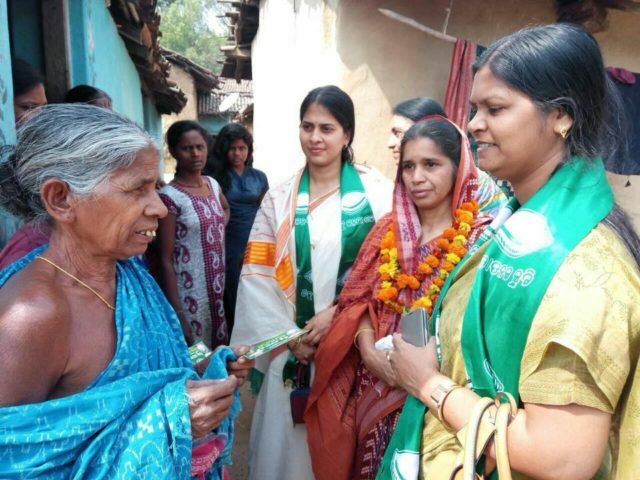 Mr. Patnaik played his card very well inducting Rita Sahu the widow of late Shri Subal Sahu into BJD. BJP fought back by fielding former BJD MLA Ashok Panigrahi. Gaisilat block vice-chairman, Pranay Sahu is contesting from Congress. While the Superstars of Ollywood are busy in campaigning for BJD & BJP, Pranay is depending on the local leaders besides Congress heavyweights like Narasingha Mishra, Niranjan Patnaik, Jaydev Jena and Srikant Kumar Jena. It’s true that the party who wins this bypoll have the certain advantage for the next assembly election.